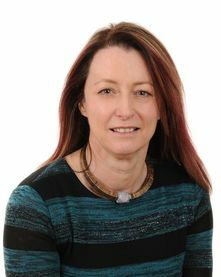 ​Elaine qualified as a Chartered Accountant with Peat Marwick McLintock in Glasgow before joining BP Exploration in 1989, becoming Senior Accountant for BP's Magnus Field. She joined Atlantic Power and Gas in 1995 as Financial Controller of a joint venture between APG and Rolls Royce. APG was acquired by PGS and became PGS Production Services in 1997, whereupon Elaine assumed the role of Business Development Co-ordinator with responsibility for economic and risk appraisal of potential UK and international investment opportunities, primarily in the oil and gas industry. In 2002, she joined Tuscan Energy as Business Support Manager, looking after financial reporting, economic analysis and business management systems for the Ardmore Field. She joined Energy Development Partners in late 2005 to fulfil a similar role, with additional emphasis on fund and investor management.